A Dublin medtech firm has secured a €50,000 cash injection from an individual angel investor - just two days after the company's pitch. Incereb has developed neonatal sensors designed to take the technical difficulty, the time, and the patient's discomfort out of the traditional method of attaching EEG monitors to a baby’s head. 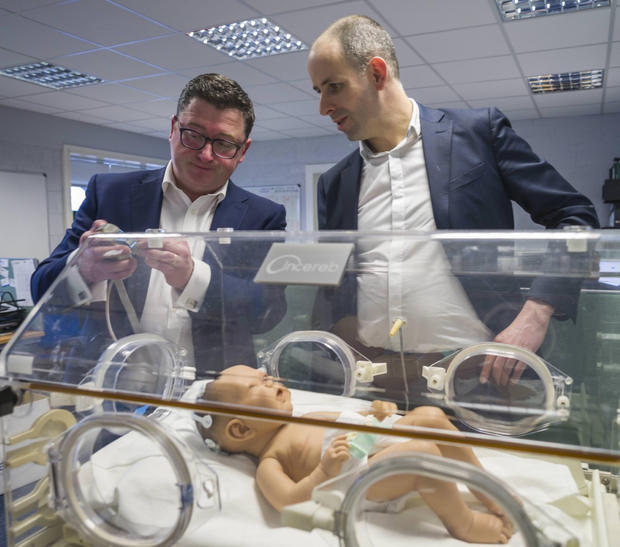 Founded in 2012, the Irish company's Neon8 and Neon12 devices - neonatal and fetal physiological monitoring sensors - also allows EEG monitoring to be performed by any neonatal intensive care unit (NICU) staff member. The HBAN investor's €50,000 makes up part of Incereb's third round of funding success of €750,000 as it plans to expand its network in the US market, while also developing its product range. Incereb CEO Jim Roche said the "smart money" from HBAN is more than just a cash injection as it "brings expertise, insights and knowledge of an experienced businessperson". "In the last three months of 2017, we secured contracts with three major academic teaching hospitals on the east coast. This latest investment will help us to bring the devices aimed at older children and adults to the US market," he said. Previously, the Irish company attracted €1.6m investment from HBAN’s Boole Syndicate, Enterprise Ireland, ACT Venture Capital and Delta Partners. The individual investor was able to transfer funds within 48 hours as HBAN’s Boole Syndicate had previously invested in Incereb, and so the due diligence was complete. HBAN syndicate manager Julian Seymour said that the medtech sector, specifically medical device companies, continues to attract a lot of interest from the group's business angels. "Almost €12m has been invested in 11 medical device companies by HBAN angels in the last three years," he said. Incereb is an industry partner in the SFI funded INFANT Centre at University College, Cork. The company is seeking to raise a fourth round of funding in 2018 to help expand into Latin America and across Europe and Asia.